Colloidal Silver Products Don’t Stand a Chance Against OxySilver. And Neither does the Flu Shot. Here’s Why . . . . Unlike colloidal silver, OxySilver resonates with a unique silver-oxygen water molecule that vibrates in “LOVE/528.” You might think that is just a silly sales pitch, but it’s really an astonishing fact, life-saving at that, as you will learn if you continue reading. Colloidal silver is simply small particles of silver floating in water. The particles are so small they stay in solution. That is why it is called colloidal silver, because the silver stays in a “colloidal” suspension in solution. Several of the best colloidal silver products claim they have the smallest particles, and that’s why they’re the “best.” But even those micro-fine particle-size “silver hydrosols” can’t compete against Oxysilver because they are still simply small silver particles floating in water. OxySilver, on the other hand, not only uses tiny micro-fine particles that stay in solution like colloidal silver, but more importantly a unique molecule first developed by NASA scientists to keep astronauts healthy in space. 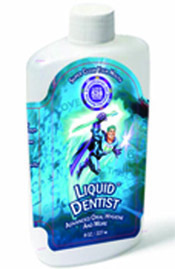 They invented OxySilver’s first prototype–a COVALENTLY BONDED SILVER HYDROSOL. That means that the tiny silver is actually bonded to the water molecule creating a whole new molecular structure that features a “cloud of oxygen” atoms energetically attracted to each atom of silver. Oxygen is the most powerful cleaning and disinfecting element in nature. Oxygen is what makes water “the universal solvent” capable of cleaning up pollutants better than anything else in nature. And when it comes to killing germs, oxygen is extremely powerful, because most germs that cause diseases (i.e., pathogens) hate oxygen. That is, they are “anaerobic.” And when an oxygen atom touches the bacteria or virus the oxygen actually electrocutes the disease-former by pulling electrons away from their protective outer coating (i.e., cell membrane or viral “envelope”). 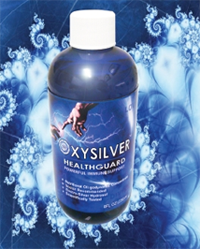 So although colloidal silver products are good, far better is OxySilver that not only has the germ-killing power of silver, but the superior power of oxygen coupled with silver-water to eliminate the varmints that cause disease. 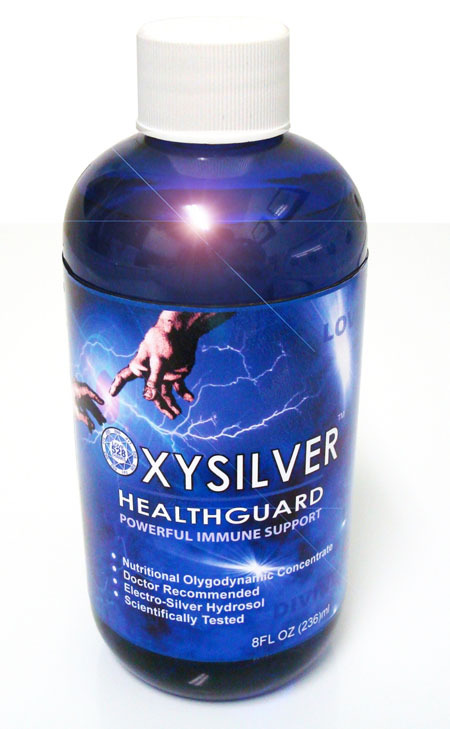 Colloidal silver does not reduce stress or alkalize your body, but OxySilver does. People usually get sick due to stress that causes acidification of body chemistry as well as immune system suppression. Not only do infectious diseases thrive in bodies that are stressed and immune-suppressed, but also acidified. ALL CHRONIC DISEASES REQUIRE ACID BODY CHEMISTRY. Most cancers, for instance, only grow in acidified tissues. Autoimmune diseases, including arthritis, common forms of diabetes, and nervous system ailments likewise thrive in people whose chemistry has turned acidic from stress and common lifestyle risks (including caffeine, nicotine, sugar, STRESS, alcohol, pharmaceuticals, and lots of red meat). Colloidal silver does nothing to remedy this problem, but OxySilver does. OxySilver is manufactured with sound and light central to nature and well being. Colloidal silver is not. 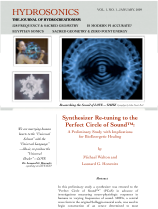 That is, the 528Hz/nm frequencies of sound and light that reflect the color of chlorophyll and the heart of sunshine (the greenish-yellow color at the heart of rainbows)–the electromagnetic color spectrum. If you don’t think this is important, think again. . . .
Have you ever worked really hard, and after a tough day taken a shower or bath to relax and DE-STRESS? Or have you ever been emotionally upset by life problems and gone for a walk in the woods, or along the seashore, and after a few minutes felt far better? Did you ever consider why? Probably not. But here’s why, and why OxySilver is extraordinary, and colloidal silver cannot compete. (2) If you were to choose what color is most relaxing: red, orange, or green, you would probably say the latter, not only because you learned how to drive a car and obey traffic lights. Fresh pure oxygen from plants is no doubt resonating in the same frequency that is reflecting into your eyes from plants–that is, 528nm. 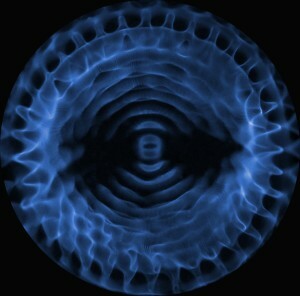 OxySilver is manufactured using this frequency of light; colloidal silver isn’t. That means OxySilver performs like a powerful homeopathic to deliver the resonance energy at the heart of nature. This too causes the relaxation response and OxySilver users to feel better immediately. If you don’t believe in the power of faithful prayer to produce healing miracles, OxySilver might help you change your mind. We put 528Hz/nm of resonance energy into every OxySilver molecule to match the “good vibration” of your heart, and heart-felt loving intention to stay healthy or recover quickly. Colloidal silver cannot make that claim. “Holy Water(s)” have been studied in many parts of the world by many researchers, including Dr. Lee Lorenzen from United States, and Dr. Masaru Emoto from Japan. Together, these early investigators determined that “Holy Water” is “conscious” and “structured.” That is, in some yet-to-be-explained way, water responds to your prayers, and heart-felt loving intention–including the intention to heal quickly and stay healthy. Dr. Emoto photographed water “messages” within six-sided hexagonal-shaped “structured” (or “clustered”) water molecules that Dr. Lorenzen determined impacted genetic structuring and function. Lorenzen and Emoto, like last century’s greatest genius, Nikola Tesla, recommended prayer to empower inventions. It’s not that OxySilver won’t work if you don’t use prayer. It will still beat any colloidal silver, with no harmful side effects like those caused by antibiotics and risky vaccines including the `shot. 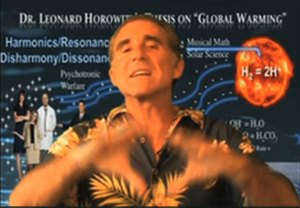 (For serious “skeptics,” Dr. Horowitz has already shamed and discredited critics who claimed that “water cannot hold an electrical charge.” Watch HERE a dozen doctors and nurses getting powerfully zapped, twice, by the same single liter of water during Dr. Horowitz’s live demonstration before the American College of Alternative Medicine. If you read the amazing testimonials people have written about OxySilver, these are best explained by the aforementioned, triggering miraculous healings the same way the “Holy Spirit” naturally restores, sustains, and extends life. Many OxySilver users, including Dr. Horowitz, actually “see” light within themselves after they close their eyes and sip a (plastic) cap full. (Never take OxySilver with table wear. A silver spoon or container will “blow out” the structure of the solution.) The light that many people “see” when consuming OxySilver radiates throughout the human body the instant we use OxySilver as directed, that is, with prayer. 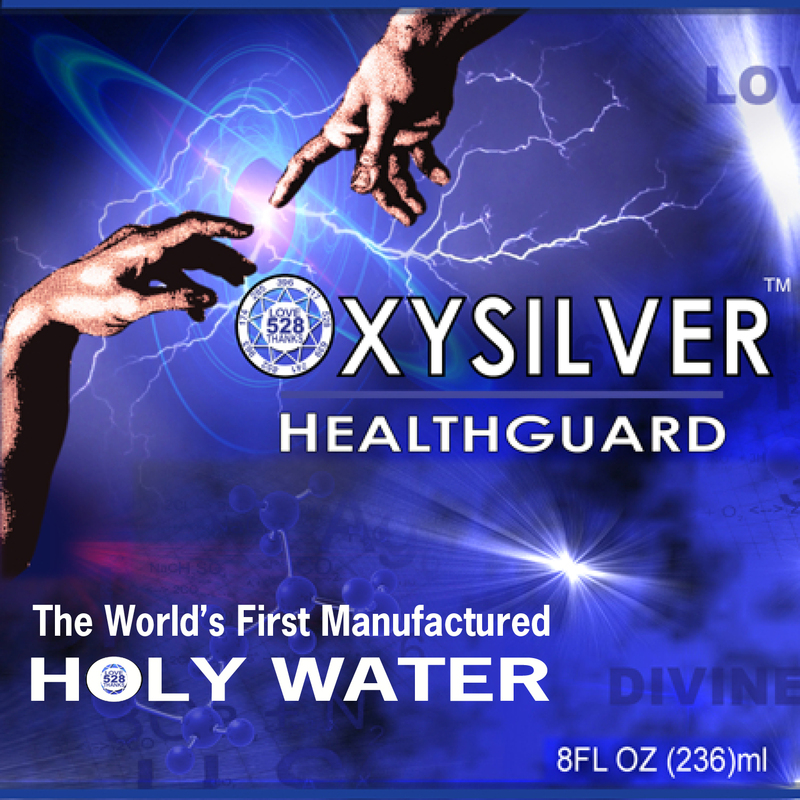 OxySilver puts all of the above together with “prayer power.” OxySilver is totally different from colloidal silver, because it brings about healing from your heart. That atonement (a-tone-meant; at-one-meant) reflects Divine-human communion, otherwise known as “phase locking” in physics and energy medicine. There is spiritual unity and Divine harmony in devout prayer; and in the musical mathematical matrix of creation that the religious world calls the “Kingdom of Heaven.” OxySilver with the good 528 vibration is in sync with your heart and the heart of the universal matrix, the heart of sunshine and rainbows, the heart of nature, and the Creator, and your heart too. 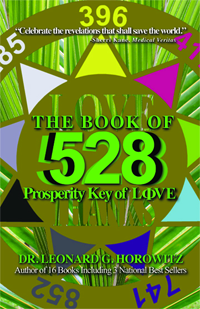 These are just a few revelations that OxySilver’s pioneering inventor, Dr. Horowitz, shared in The Book of 528: Prosperity Key of LOVE. 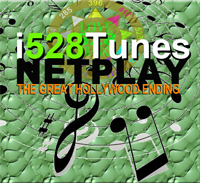 chlorophyll, and why you sing, pray, and heal best in 528. Thousands of doctors are now using OxySilver most successfully. 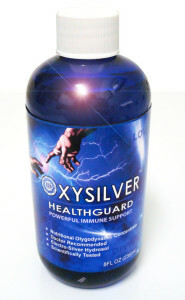 OxySilver Healthguard is sold for only $39.95 per 8 ounce bottle. People save 40% when they buy a case of 18 for only $533.52. Click HERE to buy one bottle now. To view Dr. Horowitz’s OxySilver presentation, click HERE. 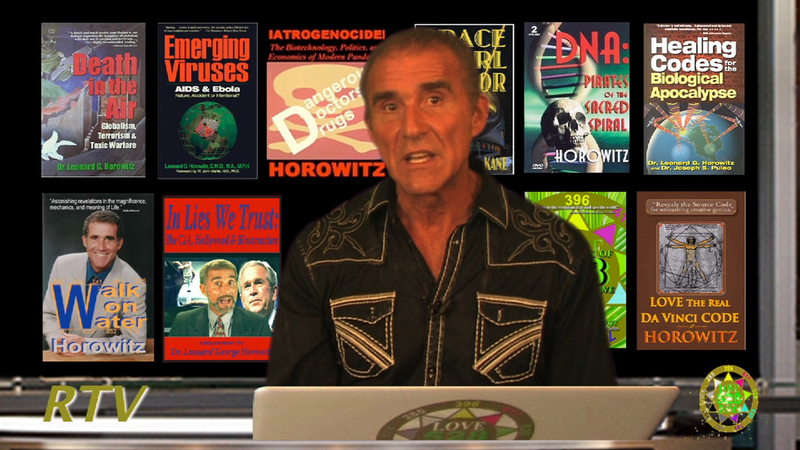 To view Dr. Horowitz’s “Suppressed Disease Remedy” Presentation, click HERE. 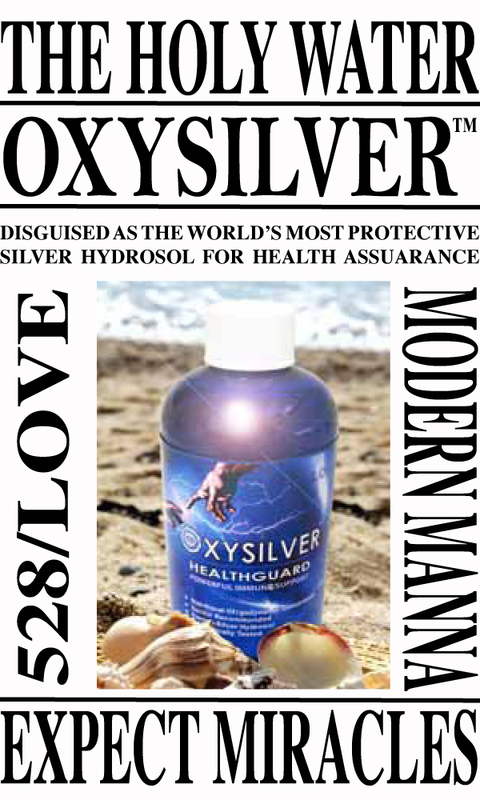 OxySilver offers the world solutions, especially nations that are now concerned about emerging diseases such as Zika, HIV/AIDS, Ebola, the flus, dengue fever, and especially intelligent and faithful people who recognize the mischief ongoing in the pharmaceutical industry and “modern medicine.” Only OxySilver provides the greatest, safest, and most economical protection in the world of man-made risks.